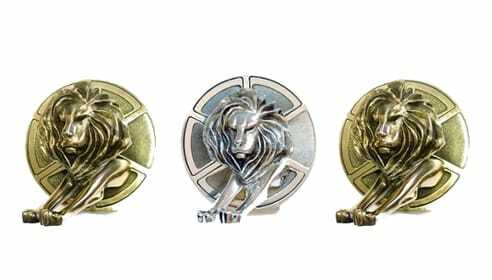 Conill’s creative work was recognized with one silver and two bronze Lions at the 62nd Cannes Lions International Festival of Creativity, held last week in Cannes, France. It’s the second year in a row that the agency earned honors at the storied event. The addition of the Cannes Lions brings Conill’s 2015 award tally up to 20, received at such competitions as The Wave Festival, The CUP, U.S.H. Idea Awards, and the El Sol Festival. “We set very demanding performance targets for ourselves a year ago,” said Conill Chief Creative Officer Javier Campopiano. “We wanted to dream bigger and take the work further. Our people have all delivered in a big way. ”Mas Que Un Auto (More Than A Car), Conill’s loyalty campaign for Toyota was the big winner, receiving silver and bronze Lions in the Outdoor and PR categories respectively. The multidimensional effort celebrates Latino Toyota owners’ loyalty for the brand and love for their Toyotas. Through http://www.masqueunauto.com consumers can create a custom nameplate for their car. Once visitors enter their information, high-quality, chrome-like badges are produced and delivered to them at no cost. The successful campaign also earned three gold awards at this year’s El Sol Festival, and 3rd Best Idea of 2015, as well as 2 gold and 1 bronze at the U.S.H. Idea Awards. In the press category, the Smiles campaign for Procter & Gamble’s Crest earned a bronze Lion. The series of print ads perfectly melds the brand’s message with how texting has fundamentally changed the way people communicate with one another. Each ad shows two versions of the same message, one with and the other without a smile emoticon. The emoticon changes the entire context of the message, from something negative to something positive. The creative campaign also earned honors at the El Sol Festival and USH Idea Awards.